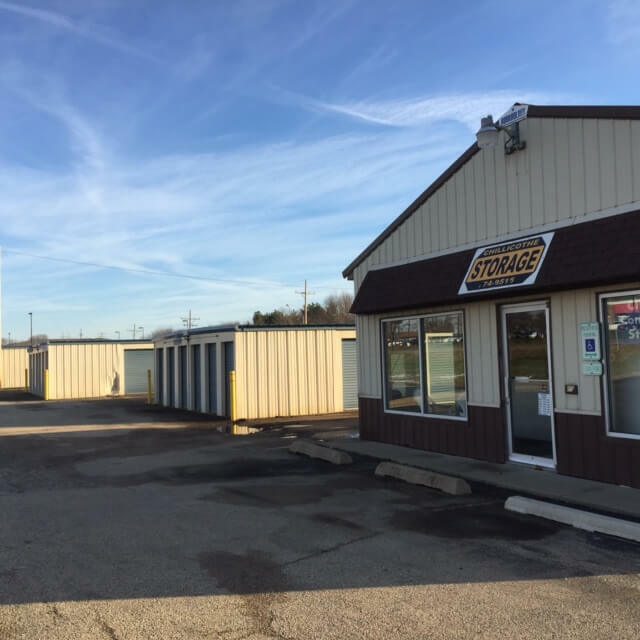 Next Door Self Storage Chillicothe is located on Route 29/4th Street, across from Kroger and McDonalds. We offer both outdoor and climate-controlled units to match your needs, and we sell boxes and packing supplies onsite. We have a large variety of units available from small, closet sized rentals to extra-large spaces perfect for contractors and businesses looking to store equipment and inventory. We even offer storage for boats, and RVs when you’re not out on Goose Lake! Our facility has 24/7 access, so you can access your belongings at any time. We have lease terms for month-to-month, seasonal, and long-term rentals. You don’t have to worry about fees or deposits here! It doesn’t matter how long you need to keep your valuables with us – we do everything we can to make your stay convenient and affordable. Our facility even offers the use of a truck for your move-in! The renter always comes first with us, and our policies and extra amenities reflect that. We have both climate-controlled and traditional units to best suit your needs. Security is a top priority with us because we know it’s a top priority with our renters. Do you live in Rome, Mossville, Lacon, Dunlap, or Peoria Heights? Hop onto Highway 29 today and come see how our facility is a step ahead of the competition. Our friendly staff will show you why the people and businesses of Chillicothe trust us with their belongings!